Let us make your business and leisure travels more enjoyable. We offer everything you want and need for a productive trip to the Midwest. Whether you're here for a romantic getaway, family vacation or a business trip, we have thoughtful amenities that make you feel at home. Rise and shine with our hot breakfast buffet, featuring freshly brewed coffee, fresh fruit, eggs, meats, breads and a "make your own pancake" station. Stay connected with our free Wi-Fi. Get connected in our meeting space that can fit up to 60 guests for any work or social event. Get your heart rate pumping in our hi tech fitness center and take a dip in our indoor / outdoor saltwater pool the whole family will love and open year round! 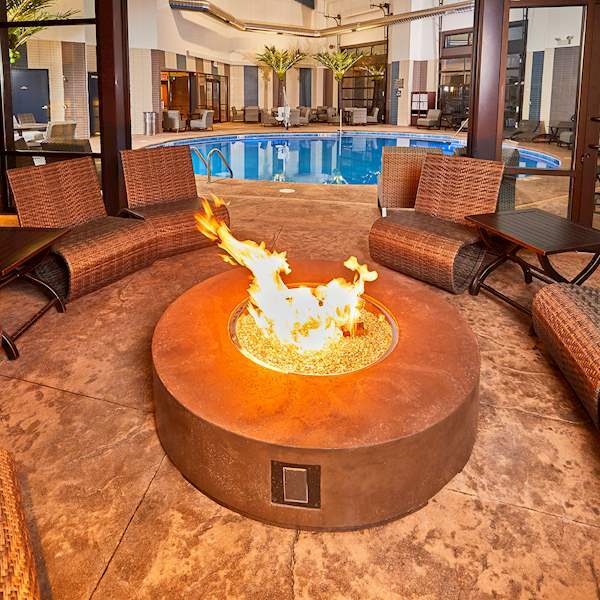 Then warm up at one of our two pool side fire pits. Adjacent to the Sharonville Convention Center and 20 minutes from downtown Cincinnati, the LivINN Hotel Cincinnati / Sharonville Convention Center has everything you need to turn any trip into an a vacation.